If you have an online business, and you sell products or services from your Web site, it is important to have a shopping cart. Shopping cart software is that program that allows visitors to your Web site to select items and save them until checkout. The most basic of shopping carts simply allow customers to add to the cart and then checkout. More advanced shopping cart software includes other features as well. You should understand that the shopping cart does not handle every aspect of the transaction. You also need a payment gateway and a merchant account service provider. The shopping cart only provides the front end part of the transaction – keeping track of what the customer wants and how much it costs. The shopping cart then shares this information with the payment gateway (which in turns shares it with the merchant account provider). Some merchant account providers also offer shopping cart software and payment gateway services. It is important to carefully consider your needs as an online business when choosing shopping cart software. You want software that fits your needs as a business, as well as software that is supported by your Web host and that you can afford. You might start with finding out from your Web host what sort of shopping cart programs are supported. Some ecommerce Web hosts even offer packages that include shopping cart software. Cross selling features. These point the customer toward related items or services that might be of interest. This is very common for clothing businesses that suggest accessories to match a top or a dress. Promo and discount codes. If you plan to offer special deals for your online business, it is a good idea to get shopping cart software that includes the ability for promo, discount and coupon codes. Autoresponder. These follow up with your customer with opportunities to take surveys, suggest new items and sales that might be of interest or share news about a product or service. Shipping and sales tax calculation. Some shopping carts include features that calculate shipping costs automatically, along with computing sales tax for certain states. Change quantities/edit cart. Some carts are easy to modify, allowing customers to change quantities or remove items without having to reload the cart. Affiliate modules. If you plan to have an affiliate program associated with your business, you might consider a shopping cart with modules that make it easy for affiliates’ sales to be recorded and figured. 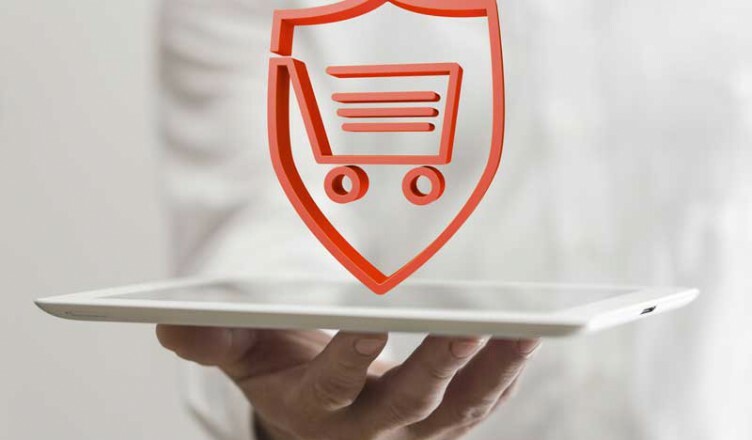 Other items that you should consider when choosing the best shopping cart for your Internet business include technical support, customer service, bandwidth used, ease of use (can you implement it fairly easily yourself), scalability, ability to generate invoices and integration with your existing site, inventory program, accounting software and other applications. Another consideration is cost. Naturally, the more features you want, the more you will have to pay for your shopping cart software. Also, if you want a higher degree of support and access to upgrades, you will have to be willing to pay a little bit more. You can check with your merchant account provider or your Web host to see if shopping cart software is included in an ecommerce package. Free shopping carts are also options. There are a number of free programs that offer shopping cart solutions. One of the most well known is PayPal. However, Google has a shopping cart program that is also free. These services charge a per-transaction fee, and are usually free to set up. The nice thing about these shopping cart options is that it is possible for customers to pay with methods beyond credit cards. In the end, it is up to you to decide what would be the best online shopping cart software for your business. You need to consider what you hope to accomplish with your business, and what you hope your shopping cart will do for you. You also need to make sure that your shopping cart will adequately meet the needs of your customers, ensuring a convenient shopping experience.